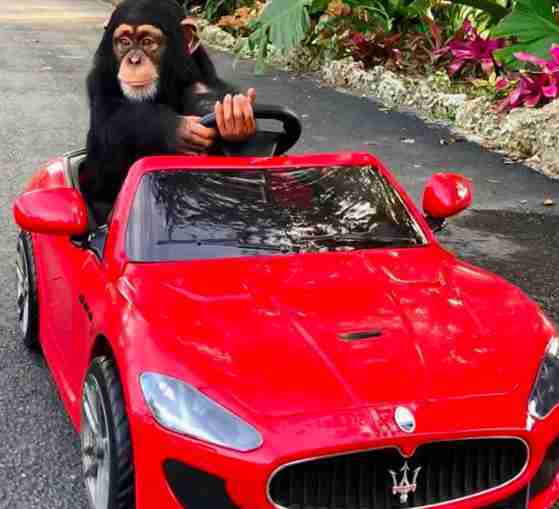 This chimp lost his family, and now people are using him to make thousands of dollars. 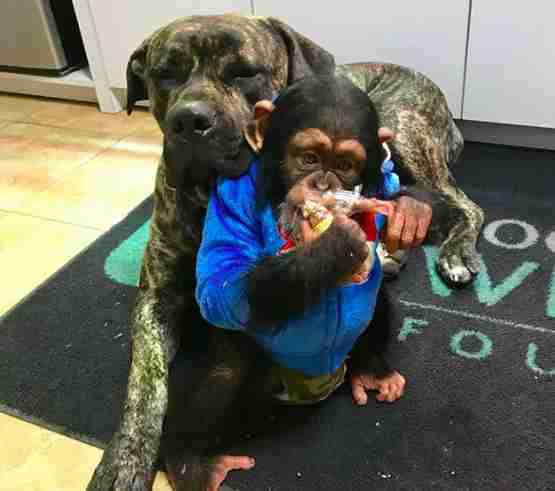 A video of a baby chimpanzee hugging a dog has gone viral — for all the wrong reasons. 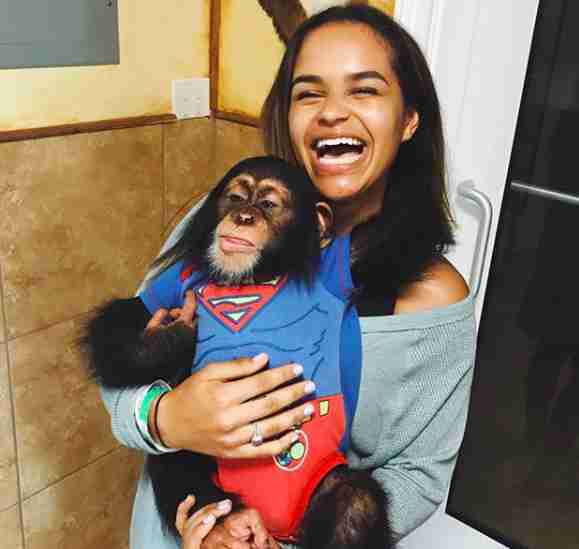 Dressed in a bright pink onesie, Limbani the chimp is seen in the recent video hugging and climbing on a dog lying on a leather couch. 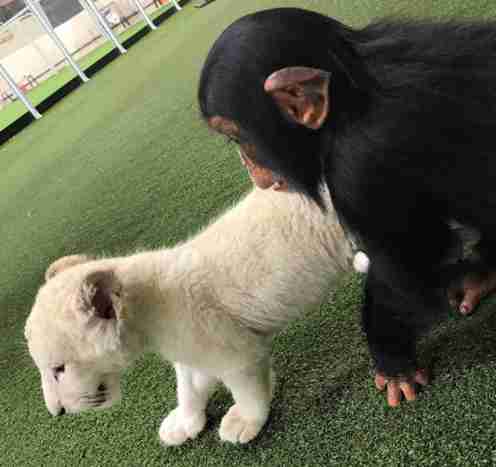 While the dog doesn’t seem to be bothered, the video shows an underlying problem behind the interaction: It’s clear the young chimp is being raised as if he were a pet — despite being in the care of the Zoological Wildlife Foundation (ZWF) in Miami, a zoo that claims to be focused on wildlife conservation. At the zoo, guests can pay to pet and take photos with exotic animal residents, including tigers and monkeys — a practice commonly associated with abuse and exploitation. Despite the zoo’s supposed mission to educate people and conserve chimps, experts say it’s doing the exact opposite. Because of his tender age and cute smile, Limbani is one of the zoo’s most popular attractions. But this only promises a future of further isolation, Halloran said. 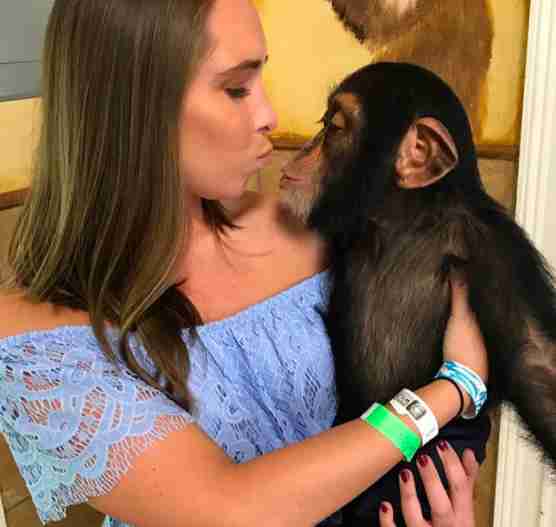 Since ZWF did not respond to a request for comment, it’s unclear where the zoo got Limbani or whether there are any other chimps there whom he is able to interact with. No chimps aside from Limbani are shown on the zoo’s website and social media accounts. 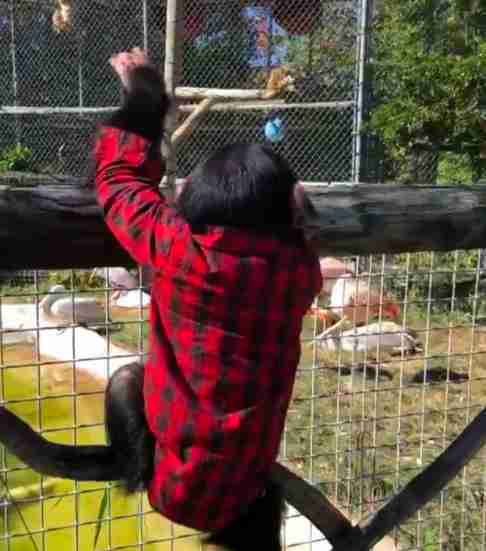 Experts also worry that by showing the chimp wearing kids’ clothing and doing particularly humanlike things, the zoo is promoting the idea that they are able to be domesticated — which is not possible. 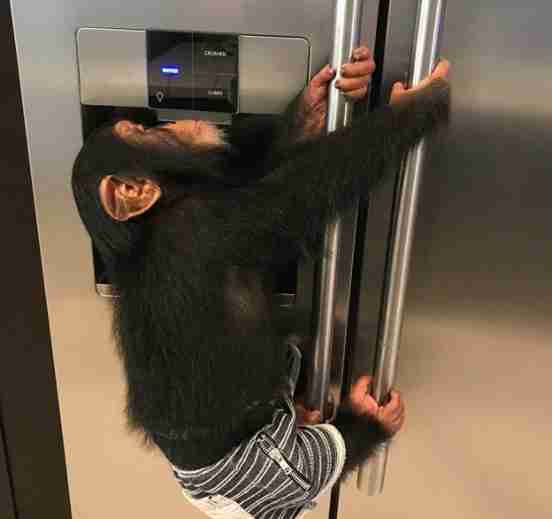 Despite this, some people are drawn to the idea of purchasing chimps as pets and will raise them as if they were a child. To Prashant Khetan, chief executive officer of Born Free USA, Limbani is being showed off as if he were someone’s pet — not the wild animal that he is. In other videos posted by the zoo, Limbani is shown sitting on top of a pizza box unwrapping a cookie, and rolling on the floor with a puppy while wearing a diaper. His Instagram profile shows snapshots of him riding in toy cars meant for toddlers, climbing the fences of animal exhibits at the zoo and posing with paying visitors for photos. This is in stark contrast to organizations grounded in conservation — which provide natural environments for chimps to live in alongside their own kind, and do not allow guests to interact with them. Many are not open to the general public. According to Erika Fleury, program director for North American Primate Sanctuary Alliance, it’s not uncommon for zoos and entertainment facilities like ZWF to operate under the false pretense of being a sanctuary or a conservation-driven organization. Mentioning conservation efforts or highlighting animals on-site who are rescued typically attracts guests because they believe that they are supporting a reputable organization, Fleury said — but allowing direct interaction with animals and earning profits from ticket sales are never qualities that align with conservation groups. When videos like this go viral, it’s common for people to react in a positive way, Khetan said — but it’s important to think about why the animal has been put into this situation in the first place, and where he will end up once he’s too old to be used as a photo prop. 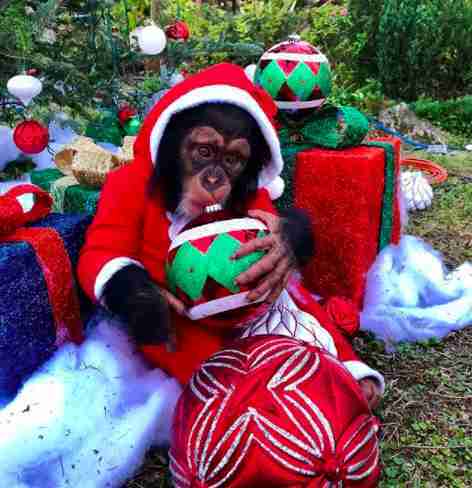 To support the continued care of rescued chimps in sanctuaries, you can make a donation to Save the Chimps, North American Primate Sanctuary Alliance and Born Free USA.